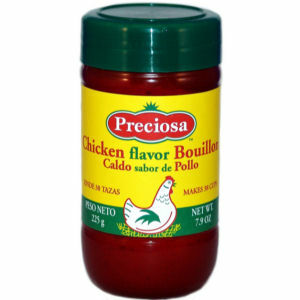 Preciosa Granulated Chicken Flavor is the ideal product for your kitchen. Full of flavor and quality. Just dissolve 2 tablespoons in one quart of boiling water. This jar is enough for 38 servings! Enjoy.